(Photos by Darren Andrew Weimert) Mike and Nickie Potter with children Sydney and Landon. Daxtin Mundy with his mother, Angela. When their son Landon was diagnosed with autism, Nickie and Mike Potter of Julian felt somewhat helpless. Initially, after Landon’s diagnosis, Nickie felt like she and Mike went through the stages of grief, from denial to anger and sadness to mourning for their son’s life and future. Everything seemed out of their control. “We felt like there was nothing we could do to help our child,” she says. Fortunately, Centre County has a number of schools and organizations that provide services for families of children with autism, as the Potters learned. “It wasn’t until we started focusing on the ‘here and now’ that we were able to identify the tools and support systems around us and finally saw a path forward,” Potter says. It’s a path more and more families are following. Since the first National Autism Awareness Month in April 1970, autism has become the fastest-growing developmental disability in the world, with the diagnosis rate of children increasing from 1 in every 2,000 in the 1970s and 1980s to 1 in every 59 children today with an autism spectrum disorder, according to the Centers for Disease Control and Prevention. Autism spectrum disorder refers to a broad range of conditions characterized by challenges with social skills, repetitive behaviors, speech, and nonverbal communication, according to Autism Speaks, an advocacy organization. As of 2015, autism was estimated to affect 24.8 million people worldwide. Landon receives support services – speech, occupational therapy, and physical therapy – from the school district, where he is in mainstream kindergarten. 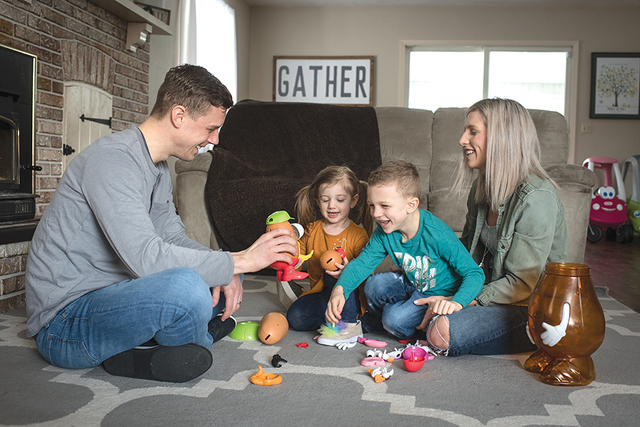 The Potters started out with early intervention with speech and individual instruction therapy when Landon was 2 years old, and once he turned 3, he went to Easter Seals for its integrated preschool until he turned 5. Half of the kids were typical functioning and half were children with special needs. The Journey Center offers treatment for children displaying symptoms of behavioral and/or developmental delays, in a Christian environment. It aims to reassure parents that they and their children with autism are not alone. Through lots of research, the Potters were surprised to learn about the services that are out there for children on the spectrum in this area. 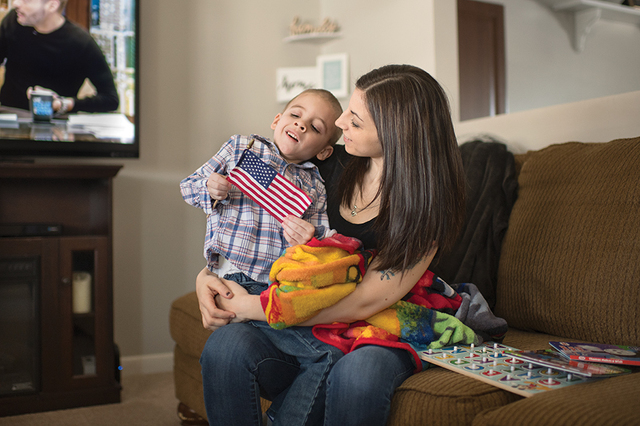 Every child and case is unique, so it was important for them to find a good fit for Landon – and sometimes that came with trial and error. Strawberry Fields Inc. in State College offers an early intervention program that provides supports and therapy services designed to meet the needs of infants and toddlers with developmental delays. “Strawberry Fields’ early intervention program serves many children each year who have autism,” says Annie Smith, Kids First early intervention director. “Strawberry Fields employees 17 therapists and teachers to provide physical therapy, occupational therapy, speech therapy, and special instruction to children age 0-3 years. Therapists and teachers work with families of young children, coaching them in strategies to enhance their child’s development. Our therapists and teachers are trained to recognize the early signs of social communication disorders, autism, and other developmental delays. Among the local schools that work with students on the autism spectrum is Soaring Heights School in State College. SHS is for students in grades K through 12 and its program is based on applied behavioral analysis, according to John Dibert, K-12 principal and program director. The ACRES Project – Adults Creating Residential and Employment Solutions – is a State College nonprofit working to foster independence, self-advocacy, and work and life skills for adults with autism. Angela and Josh Mundy of Centre Hall have a son who was diagnosed at age 2. The Mundys thought Daxtin might have autism because he was not making eye contact and did not speak. Daxtin goes to Matternville Preschool Center in Port Matilda, which offers classes for kids with autism. He is now in his second year there. Daxtin started speaking around Christmastime. In addition to his schooling locally, the Mundys take Daxtin to an autism research center in Lewisburg. Melody and Joshua Johnsonbaugh, former Centre County residents who now live in Searcy, Arkansas, have three children, all boys, with a girl due in May. Their two older sons, Zander-lee, 6, and Maxtyn, almost 4, have both been diagnosed with autism; Zander is non-verbal. Johnsonbaugh says she always must be on her toes with her sons and watch them constantly, especially her oldest. Johnsonbaugh says her older boys have uncommon and unrealistic fears and major sensory issues about different things, such as animals, clothes, and food. Johnsonbaugh says it is not the motherhood she imagined. Johnsonbaugh says there are many fears that she never would have thought about if she had never had her boys. “The biggest fear of a special-needs parent is, what is going to happen to their child after they are gone?” she says. “Who will take care of them? How will they get by? Is a home the only choice we have? Is anyone in our lives willing and able to handle them, once we are gone? Landon has also taught the Potters so much about life, patience, unconditional love, keeping the faith, and taking the time to slow down. Potter says their biggest takeaway from this experience has been to be proactive early and always advocate for your child, to celebrate all the small things because they lead to huge leaps, and that there is a path forward. “It has been a roller coaster of ups and downs along the way, but we have been finding the joy in the ride!” she says. Jason Klose is a freelance writer in Mifflinburg.